If you need a dentist in Battle Ground, Daybreak Dental is the place to go. Our experienced dentist and staff are trained to handle several kinds of procedures, and we always make sure you understand our recommendations so you can make an informed decision about your oral care. Since we first opened our doors in 2000, Daybreak Dental has been the leading dentist for the Battle Ground area. Whether you need wisdom teeth removal, implants, or simply have a toothache, Dr. Fu and Dr. Brice can diagnose the problem and get you smiling again. Our helpful and receptive team is here to help. The certified staff at Daybreak Dental will find and eliminate the problem at the source. Embarrassed about the condition of a long-standing tooth issue? Don’t be. Our understanding team knows how hard it can be to decide to have your teeth looked at. Our goal is to see you satisfied both with the condition and appearance of your teeth. We have a small group of friendly people and we get to know each of our clients so you’ll be laughing out the door even without the gas. A healthy smile is a happy smile. When you look good, you feel better, and we don’t want finances to stop you from getting the dentist treatment that could change your life. We accept insurance payments from most companies to reduce your out-of-pocket burden. If you don’t have insurance, don’t let that stop you from obtaining the oral hygiene services you need. We accept major credit cards and Care Credit and will create an individualized treatment plan you can afford. 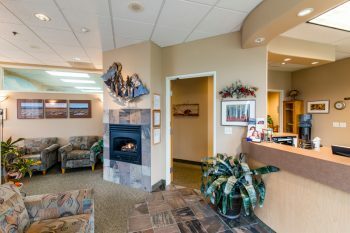 Call (360) 666-8366 or fill out our contact form today for the best dental office in Battle Ground! Our understanding team knows how hard it can be to decide to have your teeth looked at. Our goal is to see you satisfied both with the condition and appearance of your teeth. We have a small group of friendly people and we get to know each of our clients so you’ll be laughing out the door even without the gas. We believe that advances in equipment for dentist’s offices are worth the cost since the benefits go straight down to you. Using advancing technology in oral hygiene such as our intra-oral camera and drill-free air abrasion systems increases reliability and keeps you better-informed. Dr. Fu and Dr. Brice regularly attends educational courses in dentistry to stay up-to-date on the latest trends so you can be confident that you’re receiving the best treatment from your dentist. Whether you’re a regular or a new client, we’ll make sure you’re as comfortable as possible, no matter the procedure. With our competent, friendly staff, we’ll do our best to keep you happy from scheduling the appointment to the post-visit summary. Call or fill out our contact form to set-up a visit today! © 2019 Daybreak Dental. All Rights Reserved.